I rarely pay full price for anything at the grocery store and try to stack on as many layers of savings as possible! And while I’ve not yet encountered the “perfect storm” in terms of being able to combine all of these layers at the same time, I have had some pretty extreme savings by combining 5 or 6 of these discounts. Most grocery items go on sale at least once every few months. I use the Flipp app to check sale prices of every item on my shopping list and price-match it at Walmart or Real Canadian Superstore so that I’m not spending more time/money/energy hopping from store to store. Starting with a sale price is the foundation of all of the other layers – I don’t usually redeem a coupon or claim a cash back refund unless the item is on sale to begin with. I check the cash back rebate apps regularly and will purchase featured items on my shopping list if they match my coupons and are on sale. I earned enough money with Checkout51 to pay for my iPad within a year of signing up! There are a number of cash back rebate programs available to Canadians – here’s my blog post over on CommonCentsMom with more details about how you can Get Cash Back on your Grocery Receipt. Other major chains that have their own printable coupons include Metro, Whole Foods, and the Overwaitea Food Group family of stores. 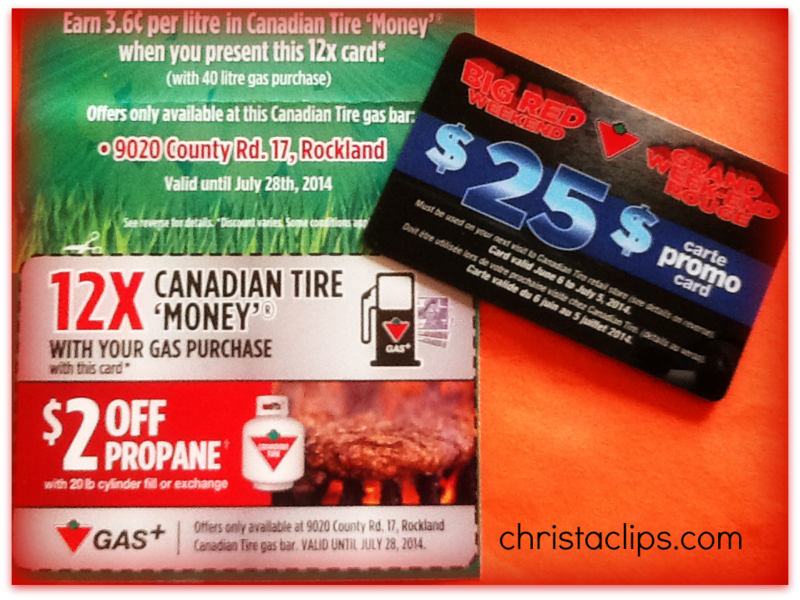 Check the website and facebook page of your favourite stores to find out if they offer store coupons. Cleaning and household products in particular often have a mail-in rebate to try a new product for FREE. Dishwasher tab, air freshner, and handsoap companies are particularly fond of mail-in rebate products. Be sure to submit the rebate form with receipt immediately after purchasing the item so that you don’t miss the expiry date or limited supply offer. Check for specially marked packaging, tear pad rebate forms, or the product websites and facebook pages for printable rebate forms. Although the savings are minimal in comparison to sale prices, coupons, and rebates, earning 1-3% back in points/cash dividend is another simple way to add on another layer of savings at the grocery store. Bit by bit, a cash back dividend, travel rewards, or points towards a gift catalog or gift cards do add up. If you end up paying any interest on the credit card, however, you’ll be negating these savings, and beyond. Credit Card rewards are only applicable if you’re able to pay the entire statement balance by the due date each month. No tax, a free gift with purchase, scratch & save cards, bonus loyalty points, etc. are another way to save money at the grocery store and might be enough of a perk to make it worth driving to a particular store instead of price-matching in a one-stop shop. Be wary of some of the free gift card offers, however, which require a future minimum purchase with limited expiration dates – those aren’t necessarily a guaranteed layer of savings if you have no need, or are unable to make it back to the store within the specified dates. Keeping this kind of layered saving in mind, we should look past the sale price or the value of a coupon and calculate the out of pocket price (oop). When an item has multiple layers of savings and the oop price is as low as it’s going to get, try to stock up on the item. Within reason, of course! No basements full of bbq sauce and toothpaste, please – they both have expiry dates! 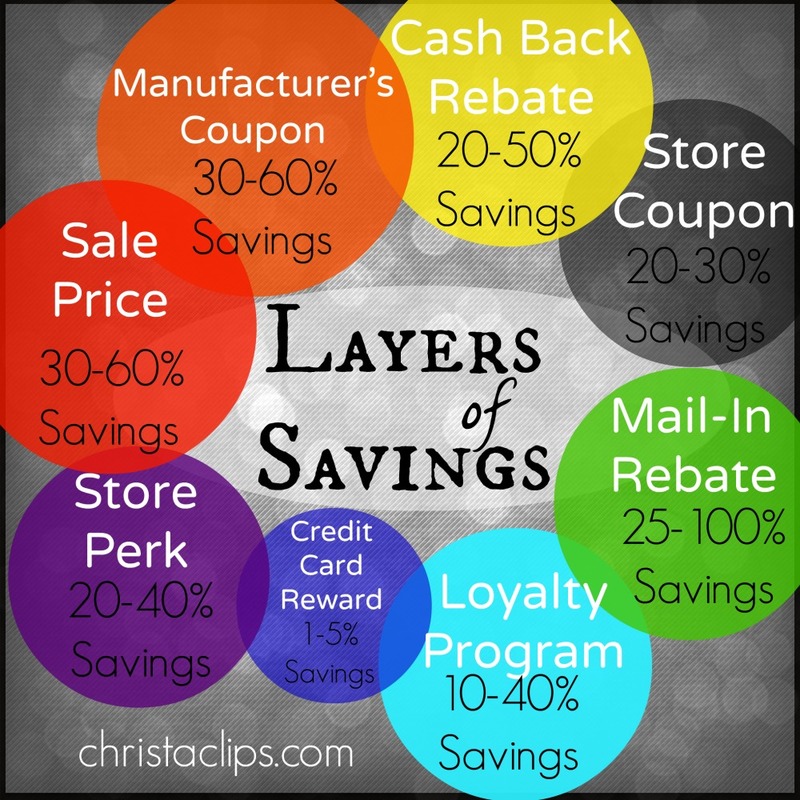 Do you have any additional layers of savings to help you cut costs at the grocery store? 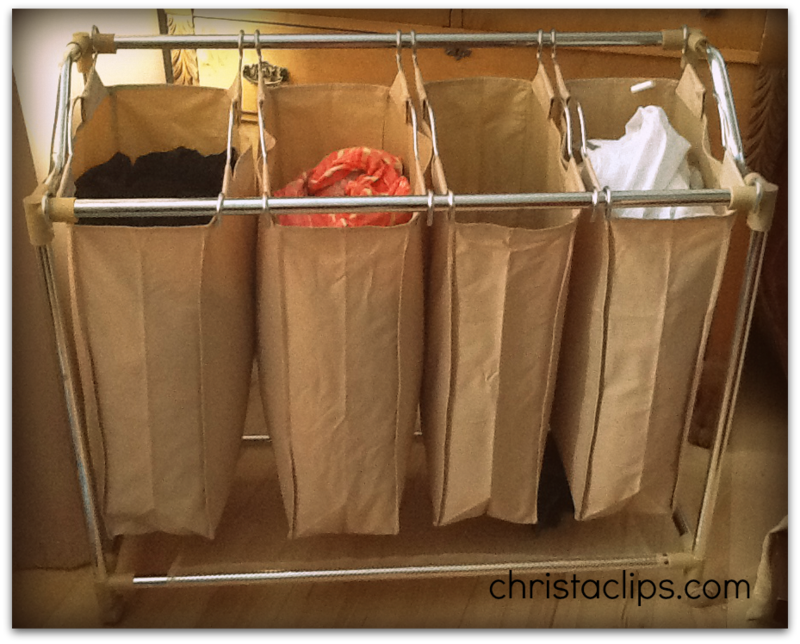 Drop a line in the comments below – I love hearing from other savvy shoppers!